I interviewed Nitzer Ebb for Skinnie Entertainment Magazine back in 2010. I couldn't believe how lucky I was. I had been listening to the band since high school. Now all I have to do is interview Skinny Puppy and Front 242 to complete the Jasen T. Davis industrial music trifecta! 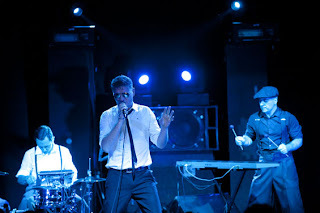 When Nitzer Ebb was first created in 1983, band members Bon Harris, David Gooday and Douglas McCarthy began composing industrial music that combined punk lyric ferocity with stripped-down, synthetic beats and sounds that had everyone on the dance floor moving to this new style of machine-made music. That Total Age, their first big album, was released in 1987, becoming part of an industrial revolution in music as bands like Front 242, Ministry, Skinny Puppy, Throbbing Gristle and Meat Beat Manifesto suddenly became mainstream. Nitzer Ebb saw huge successes with tracks like “Join in the Chant” and “Let Your Body Learn.” These two songs got people on the dance floor, and their militaristic garb and live energy earned them fans in the U.S. and Europe. Touring with Depeche Mode and performing for a wide variety of audiences gave Nitzer Ebb more depth than later, half-baked pseudo-industrial bands that seemed popped up like mushrooms before vanishing completely. 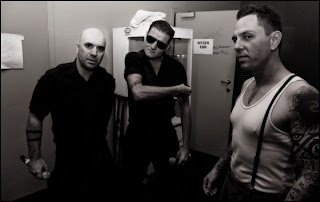 Showtime, their next big album, became a signature work that showed how Nitzer Ebb had gone beyond their simplistic origins to utilize other sounds, from rock guitar riffs to jazz melodies and blues beats, all the while creating music that was uniquely their own. “Lightning Man” and “Getting Closer”, two of the most popular hits from Showtime, became club anthems that packed the floor. Later albums had more rock appeal, probably because the audiences Nitzer Ebb entertained were packing stadiums instead of smaller venues. 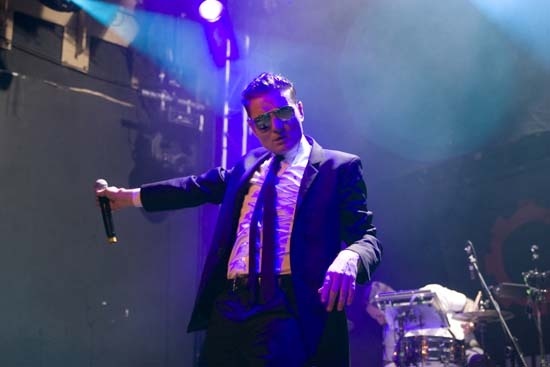 The band raged throughout the early 90’s, but by the time Big Hit was released in 1995, Nitzer Ebb ground to a halt for a combination of reasons, both business and otherwise, and later tour dates were canceled. For a time the group went into hibernation, with various members of the band quietly working on side projects and pursuing goals more related to production…but the beast was just taking a break. Decades later, the original lineup has changed, with Jason Payne on drums, but Nitzer Ebb is still the same band only smarter and more experienced, having produced albums with big industry names like Marilyn Manson and Billy Corgan. Touring strong throughout the 2000’s, their new album, Industrial Complex, promises to be an opus created not in the sterile environment of the studio, but inspired by performances for live audiences while on the road. Once again Nitzer Ebb has proven they can infuse powerful machine music with an organic cool that can make you move. 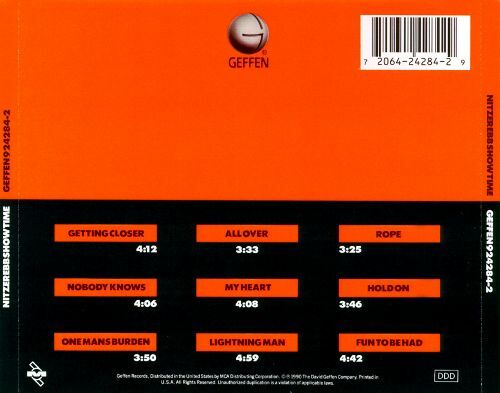 What originally brought Nitzer Ebb together? Does this idea still motivate the band, or do you all now have different reasons to team up and create music? DM: We were in our mid-teens when we started the band and had been going to live shows for a few years seeing bands like Bauhaus, The Birthday Party, Souxsie and the Banshees, Southern Death Cult, Neubauten and Malaria! among others. That was a great way to be introduced to live music and we just felt that it was completely possible to do this ourselves. Those shows gave us a great sense of self belief, and once we started playing then the excitement of creating and the thrill of playing just spurred us on. It still does. When Nitzer Ebb was first creating music, what were the band’s early influences? What are Nitzer Ebb’s influences, now? Tell me about your next album, Industrial Complex. DM: Very productive, relaxed and fun. We had a large space in East LA and worked over the course of about a year coming in each day with a “clean sheet of paper.” We deliberately limited the amount of technology we used so as to approach the album in a similar way as we did with the first album. What we ended up with is a very heartfelt honest collection of songs that are a joy to play live and make all of us feel incredibly good about where the band is at. How has so much time in the L.A. music scene shaped the band’s direction? Has working on other projects, including producing, added to Nitzer Ebb’s over all style and sound? JP: Working on other projects has definitely had more of an impact. We all continue to grow, musical and otherwise, which in turn is beneficial to how we all work together. When Nitzer Ebb first appeared on the scene, there seemed to be only a handful of other industrial bands. How did you view your contemporaries, back then? How did they view you? DM: I couldn’t possibly comment. I read in an interview with Gabi from DAF that they are “most proud of Nitzer Ebb out of all their offspring,” hahahahah! What is the future of Nitzer Ebb? DM: Right now we are going to finish the US tour, then go to Mexico City and then South America. We take a break in LA over the Christmas period then it’s back to Europe for more shows. There are a few collaborations on the cards for 2011 and a few special events, then who knows? 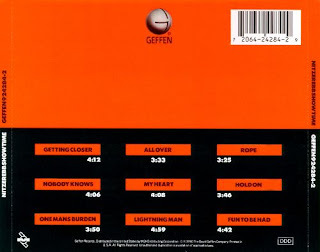 Will we be able to hear the music of Nitzer Ebb used as a soundtrack in future motion pictures? DM: We have been lucky enough to have a number of tracks on US television shows and definitely are looking to getting some movie soundtracks to create music for. During the time the band was not actively touring or creating new albums, the sound of Nitzer Ebb has endured, and continues to quite popular in the modern music scene. Why is this? DM: We have always put a lot of effort into the sound and approach to our music and I think that effort is what has seen us in good stead.